Octaplex is prothrombin complex concentrate (PCC) containing therapeutic and balanced levels of Factors II, VII, IX and X, as well as inibitory proteins C and S. It is indicated for treatment of bleeding and perioperative prophylaxis of bleeding in acquired deficiency of prothrombin complex coagulation factors or in congenital deficiency factors II and X when purified specific coagulation factor products are not available. Octaplex has been shown to provide rapid INR reversal within 10 minutes, with a small volume (500 IU in 20 mL) and short infusion time. 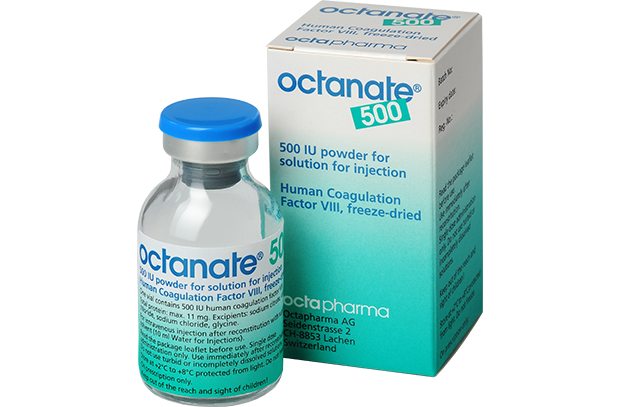 Octanate 500 IU contains human coagulation factor VIII, and is indicated for treatment and prophylaxis of bleeding in patients with haemophilia A (congenital factor VIII deficiency). It is naturally stabilised and protected by VWF, and is highly purified and efficacious. 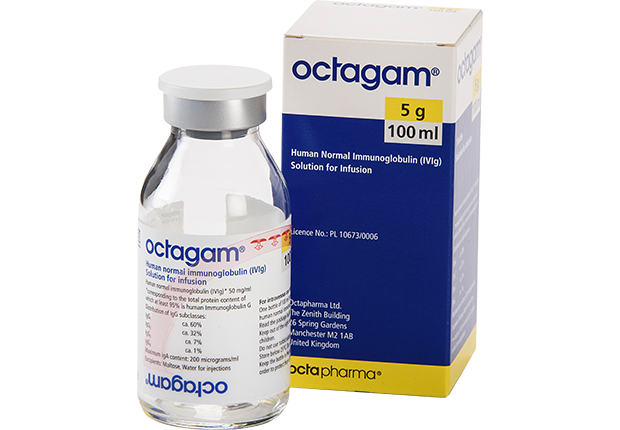 Octagam is a human normal immunoglobulin (IVIg) that is indicated for replacement therapy in patients with primary immunodeficiency syndromes, myeloma or chronic lymphatic leukaemia with severe secondary hypogammaglobulinaemia and recurrent infections, and children with congenital AIDS and recurrent infections. It is also used in immunomodulation of idiopathic thrombocytopenic purpura (ITP) in children or adults at high risk of bleeding or prior to surgery to correct the platelet count, in patients with Guillain Barré syndrome and Kawasaki disease. Another approved indication is for allogeneic bone marrow transplantation. Octagam has been used in more than 80 countries globally, which provides reassurance to both patients and physicians. 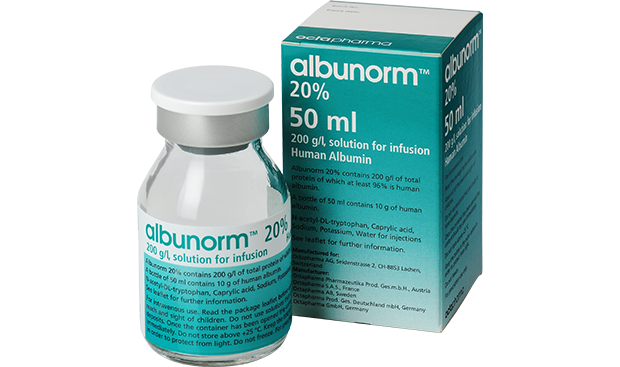 Albunorm is human albumin which is used for maintenance of colloid osmotic pressure, regulation of intravascular and extravascular fluid volume, with buffer effect and transport function in human plasma. This site use cookie to improve your site experience.